With a pile height of 1 3/4“ and face weight 90 oz.yd2, San Diego S-Blade 90 Artificial Grass is ideal for deck, patio, roof, pet turf, playgrounds, landscape. The combination of Emerald Green and Olive Green colors with Green thatching looks natural and realistic giving a natural spring green fresh cut look; exclusive “S” blade memory fiber provide the most resilient lawn for your feet. 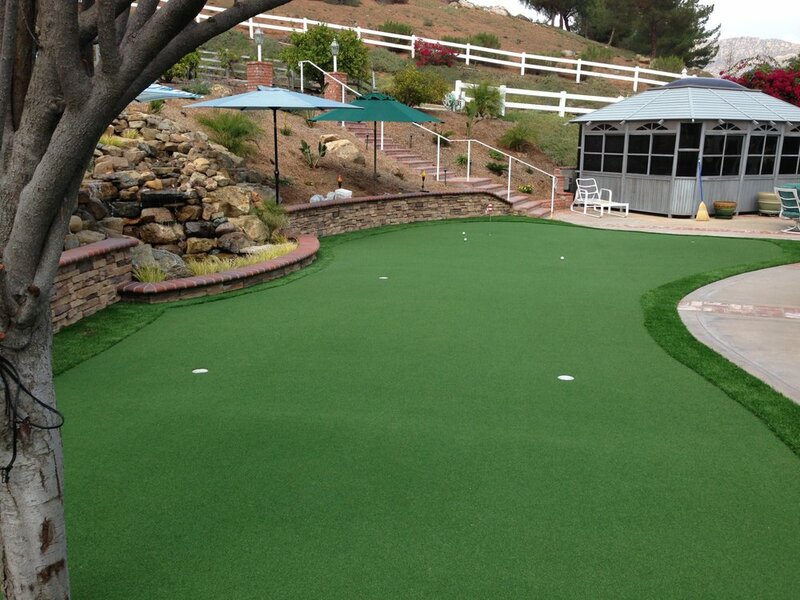 San Diego S-Blade 90 Artificial Grass is a popular choice for lawns at homes with families and pets who love to play outside. This durable turf gives you a more inviting surface to play on, is soft to the touch, saves water if installed outside, and is easy to clean up. Turn your lawn into a beautiful, lush and tranquil retreat with a low maintenance landscape. Eco-friendly, Coronado S-Blade 90 can withstand a rough wear, tear and extreme weather conditions with years of projected life expediency.